This St. Patrick’s Day, it’s time to stray away from the same old stagnant, boring parties, and participate in some top-notch bar hopping. What better way to commemorate the patron Saint of Ireland than hitting up every pub in Baltimore? Baltimore has plenty of historic neighborhoods to choose from including, Federal Hill, Canton, and Fells Point. 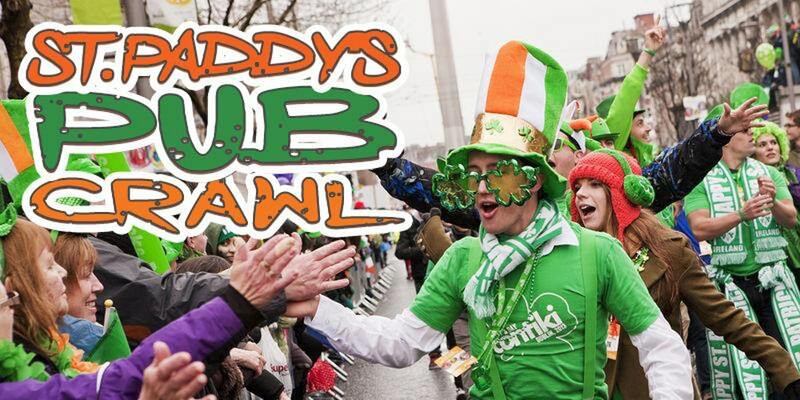 The annual St. Paddy’s Luck of The Irish Pub Crawl will be hosted right in the heart of Baltimore. Great St. Paddy’s Drink Specials being offered include $3 Drafts, $4 Bottles, $5 Irish Whiskey Shots, $5 Mixed Drinks, & more! Come out and show your Irish spirit with everyone at The Lodge during this St. Patrick’s Day all day event. WPOC 93.1 will be there benefiting St. Jude Children’s Hospital. Starting at 12:00 pm artist Mark Bray will be performing. 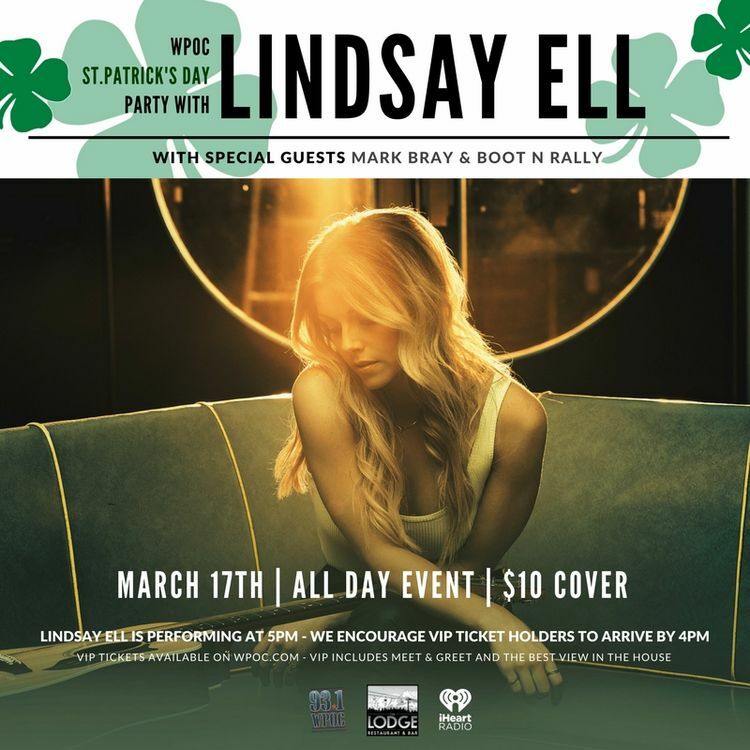 At 5:00 pm Lindsay Ell ( country music recording artist ) will be performing, Boot and Rally at 7:00 pm, and ending the night with a Live DJ at 10:00 pm. Limited number of VIP tickets are available. All other ticket sales are first come first serve at the door. There will be a $10 cover charge. Come for a wee bit o’fun during Maryland’s biggest St.Patrick’s Celebration at Looney’s Pub. The celebration will be lasting all weekend long. Starting on Friday, March 16th at 10am there will be Shamrouges, Kanye Twitty, CL Go Go Gadjet, Bad with Names, Here’s to the Night, Rob Fahey, & Chasing Friday. On Saturday, March 17th, starting at 8am there will be Celtic Warrior, Crushing Day, Amish Outlaws, Tripwire, New Romance, Gaelic Mishap, & Under the Covers. The celebration weekend will be ending on Sunday, March 18th with Hair of the Dog Brunch from 11am-3pm then ending with Sugar Jack from 3-7pm. Eat, Drink, & Be Irish at any of the Looney’s locations.